On May 28th, the music ministry of Johns Creek UMC will pay tribute to America and her veterans. 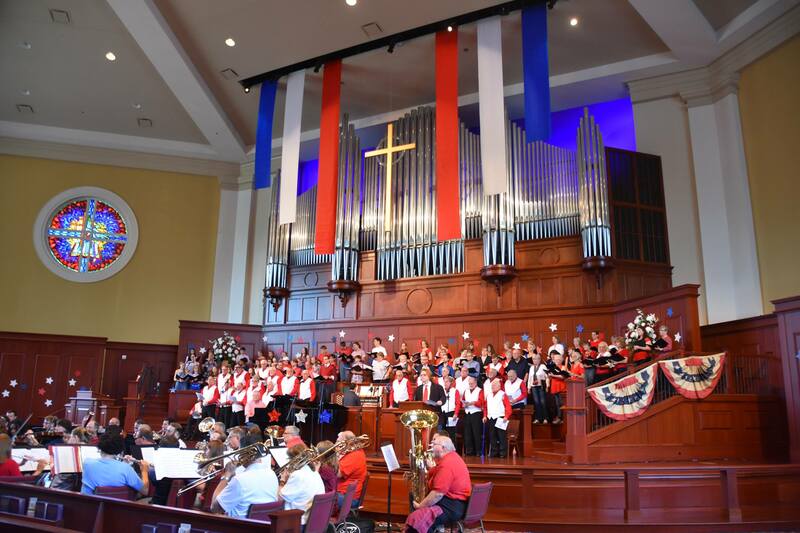 In this family friendly concert you will hear favorites such as “My Country ’tis of Thee”, “America the Beautiful”, “Stars and Stripes” and many more. Special guests will include the Georgia Sensation (the premiere women’s barbershop group of Johns Creek) and Vocally Charged (Northview High School acappella group). The evening will conclude with ice cream and a bounce house for the kids. This a free concert, but an offering will be taken to support the music ministry.